The Radiology Society of North America (RSNA) annual conference is one of the most popular and most well-attended conferences in radiology. The deal is the same – you submit some academic work you completed, and if it is deemed worthy, you are offered a not-quite-golden ticket to attend the not-quite-chocolate-making conference center. You spend upwards to one week in a place with 20,000 strangers pushing around, 4,000 some CME-worthy offerings, and another 700 vendors trying to decide whether you have money to buy a CT table. Sometimes people say that you go to the RSNA conference to learn about the newest research, to get ideas from being bathed in the sheer high density of smartness that we assumed would somehow disperse by diffusion. The research is great, the vendors are great, the city is amazing, but these aren’t the reasons to go to the RSNA conference. If the research is important enough you will see it in a journal, if you need a product you will find that vendor on the internet, and Chicago… is indeed amazing, but it would be more so in September than December. The reason that tens of thousands of people come together on this one week is not for the great research. It’s for each other. Go for the great people. The world-class research is just a bonus. Fifteen years after the publication of Institute of Medicine’s landmark report To Err is Human, healthcare process improvement (PI) is finally beginning to take root. Quality improvement (QI) has become a pillar of healthcare for both academic clinicians and private practice alike. The workhorse of the Donebedian adage of “structure + process = outcome” is on standardization. In a world of static, well-defined products, proper application of PI can dramatically reduce variability. While incremental improvement continues to be necessary in healthcare – we are a long way away from a six-sigma industry – continued standardization and scientific research alone are no longer sufficient to evolve healthcare. Today’s world provides us with tools that make humans more capable than ever. Writers who used to make elaborate trips to exotic locations to gleam material for the next espionage thriller while talking to their book agent on the landline with expensive long distance fees can now do the research at their computers while setting up an Amazon self-publishing account. Radiologists who used to be at the mercy of transcriptionists to translate their verbal stutters into fluent medical poetry days later now generate reports within minutes using voice recognition technology. These are empowering tools, putting the ability to affect outcome directly in the hand of those holding the highest stakes. In general terms, it makes sense that with advancements in technology, professionals can now (1) do the same amount of work with better quality, or (2) do more work at the same quality. Unfortunately, inadvertently what happens is we tend to be expected to accomplish more and do better (occasionally one also expects to feel less tired at the end of it!) 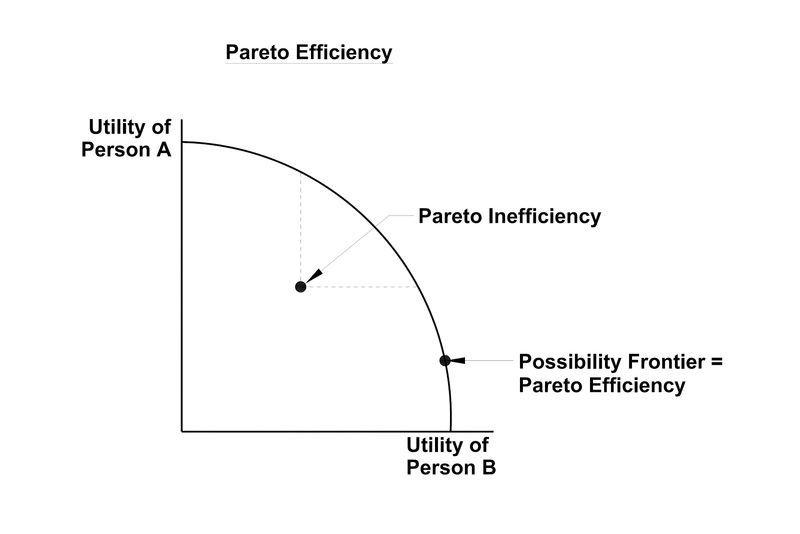 Business school professors would teach that technology advances push the entire pareto-efficient frontier forward. That is, assuming that you are already working at your absolutely most efficient way such that any improvement in speed will automatically have a quality tradeoff, then adapting a new technology may change the nature of the curve such that you can now move both “up” and “to the right.” The truth is, I am so rarely pareto-efficient in the first place that if a new technology can somehow land me onto my existing frontier, it was well worth the cost. And while technology like this, this, and this don’t literally breaking any frontiers, they do have the added benefit of putting productivity in my conscious thought and – at least temporarily – make me healthier and more productive. Update: On January 5, 2015, Stephen Brill published America’s Bitter Pill: Money, Politics, Back-Room Deals, and the Fight to Fix Our Broken Healthcare System, expanding on his popular Time article. It is an interesting book, not because I agree with Mr. Brill’s data but because it happens to be a useful exercise in how data sometimes can be applied/misapplied to streamline a compelling narrative. Below is a shameless self-reblog from my response to the original Brill article focusing on how data from a sub-sub-sub-specialized hospital should not be used to comment on an entire set of hospitals, some of which struggle to serve as the safety net for a vulnerable population. In an article titled “Bitter Pill: Why Medical Bills are Killing Us,” Stephen Brill outlines a well-researched investigation on hospital over-billing. In the article, Brill begins by highlighting the unreasonable mark-up MD Anderson places on every medication, service, and imaging that it provides. He argues that this “hard-nosed approach pays off,” earning MD Anderson $531 million operating profit in 2010, and that this comprises a 26% operating margin. $1.8 million of that went to the pockets of Ronald DePinho, the president of the cancer center. Although Brill never outright states the connection, his implication is clear: general hospitals are the oft ignored mammoth in the health care debate, operating under the veil of legitimate non-profit business. A general hospital funds its astounding operating income by making the uninsured and under-insured suffering patients an offer they cannot refuse – a markedly inflated bill. It then funnels this unfairly earned profit into the pockets to the Godfather of the organization. The logic is sensational, if only it were correct. In a prior post, I read Steven Brill’s story on health care hospital bills and offered a brief analysis of the “average hospital” in contrast with MD Anderson (spoilers: sub-specialty cancer treatment is profitable, the average hospital is not). The data show that average hospitals are low-margin organizations. Below, I argue that although the data disagrees with the vilification of general hospitals in “Bitter Pill,” the article is spot-on that medical bills are incredibly over-priced. Then, I offer a hypothesis on why. Sherlock Holmes is fictional expert in what he calls the “exact science of detection” (A Study in Scarlet). Despite his genius in deductive reasoning and intuition is unparalleled, much of the detective success relies upon the calm and composed guidance of his trusty sidekick Dr. Watson. In most of the canonical novels, Watson acts as the sanity check for Holmes’ storm of ideas and, of course, the meticulous chronicler of their adventures together. After defeating its human opponents on Jeopardy, the supercomputer Watson by IBM will attempt to learn medicine. Despite its terabytes of storage and raw processing horsepower, Watson’s ability to make medical decisions remains unclear. Can IBM’s Watson truly understand the complex human body and make medical decisions, or will it – like Dr. Watson attempting deduction – prove to be an helpful sounding board but falling short of achieving true intuition?